Engineered Garments is a brand that thinks about clothing differently. 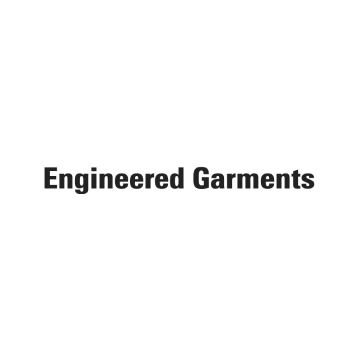 Where many contemporaries will speak in the vernacular of designing and crafting, from day one Engineered Garments has said it does not design, but engineer its ranges. Taking cues from American sportswear, outdoor clothing and military, Engineered Garments is built with the wearer in mind. With collections informed by Suzukiâs obsession-bordering coveting of classic American sportswear in his younger years, this is a familiar brand constructed to set you at ease. Nowhere is this more apparent than in the Engineered Garment jacket range a firm Hip Store pick with good reason.